Domestic Relations deals exclusively with transactional aspects of domestic relations. 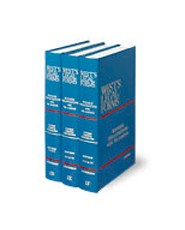 Part of West's Legal Forms, it contains extensive forms and analysis, including tax analysis, related to marital dissolution, property settlement and distribution agreements, child custody and child support, spousal support, and so on. You'll find a detailed index and tables, as well as numerous original authored forms.